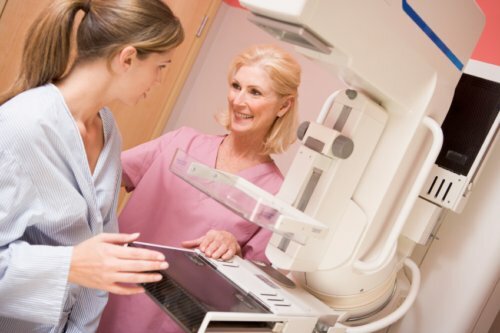 A new study presented at the annual meeting of the Radiological Society of North America (RSNA) has found that low-income women in Medicaid expansion states have a greater likelihood of being screened for breast cancer than residents of non-expansion states. States had the option to expand Medicaid with coverage for people under the age of 65- years-old who live up to 133% of the federal poverty level. Among the first states to adopt and implement the Medicaid expansion program by 2011 included Connecticut, New Jersey, Washington, California, Minnesota, and Washington, D.C. In total, 23 states have opted to expand Medicaid coverage and six others are implementing alternative coverage plans, according to the new study. The other states are either not implementing the expansion program or are still considering it. Breast cancer is an aggressive type of tumor that begins in breast cells. According to the American Cancer Society, 231,840 new breast cancer cases and 40,290 deaths are expected for 2015. A mammogram is often recommended every two years for early detection of breast cancer for women between the ages of 50 and 69. “While increased use of screening mammography has significantly contributed to improved detection of breast cancer, substantial disparities in breast cancer screening exist among populations in the country,” explained the study’s lead author Dr. Soudabeh Fazeli Dehkordy. For the study, researchers sought to find whether or not increasing the access of health insurance through the Medicaid program would improve breast cancer screening compliance. The research team used data from the 2008 and 2012 Behavioral Risk Factor Surveillance System that was adjusted for race, income, education, and age. The analysis showed that low-income women in expansion states had similar rates of being screened to residents of non-expansion states in 2008. But, after the early expansion states implemented the program in 2012, low-income women in these expansion states were 25% more likely to receive breast cancer screening than women in non-expansion states. In 2010, U.S. President Barack Obama signed the Patient Protection and Affordable Care Act (Affordable Care Act) to help provide Americans with affordable health insurance. It was also meant to regulate the health industry and improve the quality of health care. The Affordable Care Act, unofficially known as ObamaCare, has had its share of problems. For instance, there were some new taxes associated with ObamaCare that affected employees or their employers, which led to delays in new healthcare insurance. Other issues involved various cross subsidies, obstinate economic incentives and an explosion in healthcare spending. On the other hand, ObamaCare has significantly lowered the number of Americans without insurance and many low-income families are now eligible for Medicaid to help pay for health insurance. Free breast cancer screening and prevention measures, under certain conditions, were also implemented under the act. “Understanding the impact of Medicaid expansion on breast cancer screening rates in early expander states can provide valuable insights that can be very useful to both state and federal policymakers when considering key health policy,” added Dr. Fazeli Dehkordy. The research presented at the meetings is considered preliminary until it is published in a peer-reviewed journal. Murray, M., M.D., et al, The Encyclopedia of Natural Medicine (New York: Atria Paperback, 2012), 356-366. “Medicaid Expansion Improves Breast Cancer Screening for Low-Income Women,” RSNA Press Release web site, November 30, 2015; https://www2.rsna.org/timssnet/media/pressreleases/14_pr_target.cfm?ID=1849. “Obamacare Boosting Breast Cancer Screening Among Poor: Study,” MedicineNet.com, November 30, 2015; http://www.medicinenet.com/script/main/art.asp?articlekey=192146. “What is Obamacare?” Upcounsel web site, https://www.upcounsel.com/what-is-obamacare, last accessed November 30, 2015. Matthews, M., “Seven Things (Still) Wrong with ObamaCare,” Forbes magazine web site, July 5, 2012; http://www.forbes.com/sites/merrillmatthews/2012/07/05/seven-things-still-wrong-with-obamacare/2/. “What is breast cancer?” American Cancer Society web site, http://www.cancer.org/cancer/breastcancer/detailedguide/breast-cancer-what-is-breast-cancer, last updated June 10, 2015. “Breast Cancer Facts & Figures,” American Cancer Society web site; http://www.cancer.org/research/cancerfactsstatistics/breast-cancer-facts-figures, last accessed November 30, 2015. “Screening for breast cancer,” Canadian Cancer Society web site, http://www.cancer.ca/en/prevention-and-screening/early-detection-and-screening/screening/screening-for-breast-cancer/?region=bc, last accessed November 30, 2015.